The ants in this group that explode are the minor workers. When the threat is present and they are poised to explode they walk around with their tail section raised in the air, much like a skunk as it prepares to spray. The ants then contract a particular muscle until the pressure becomes so great, an enlarged gland that holds the liquid is ripped open and the body wall erupts. The composition of the explosive liquid is the subject of on-going study, but it is known to contain some anti-bacterial elements, as well as a variety of toxins. 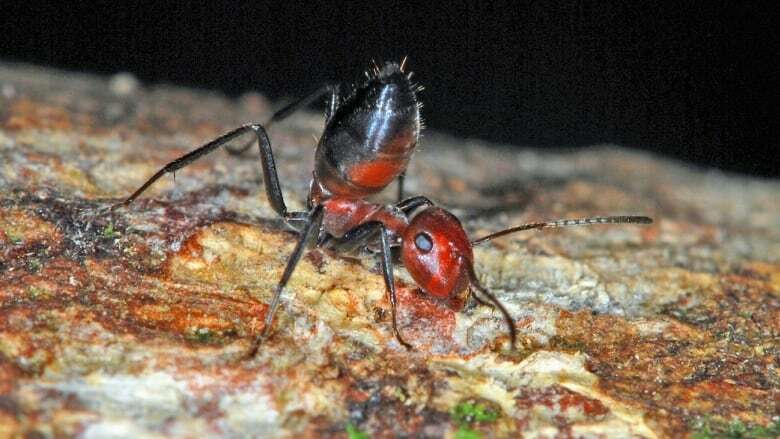 If the attacking ant ingests the toxin, it is killed immediately. But the sticky toxic goo may also just cover the attacker until it is completely immobilized until it dies. Often the dead Colobopsis explodens ant remains stuck to its attacker.